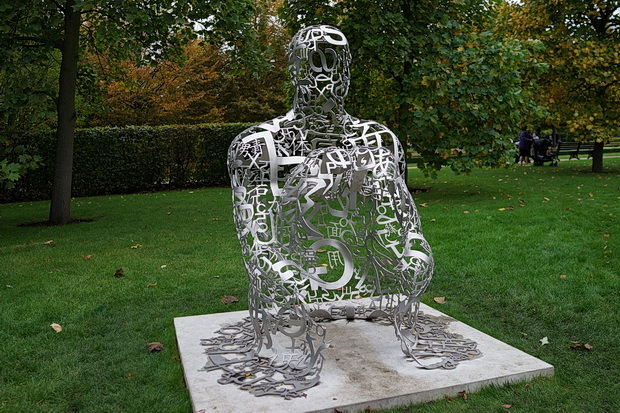 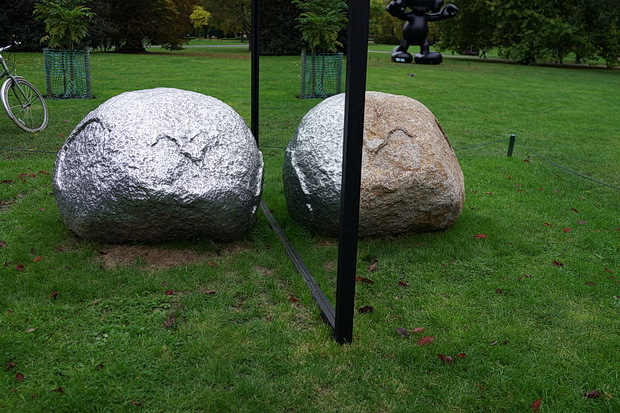 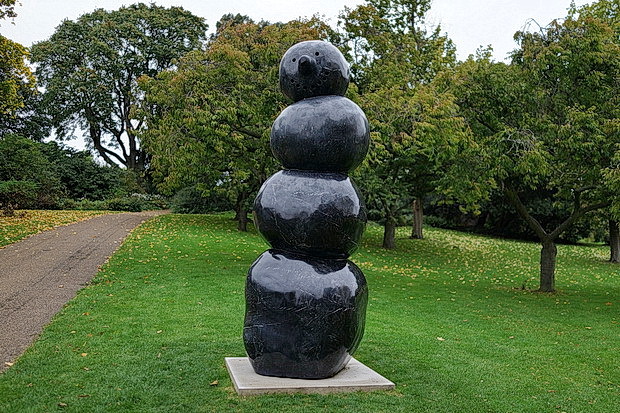 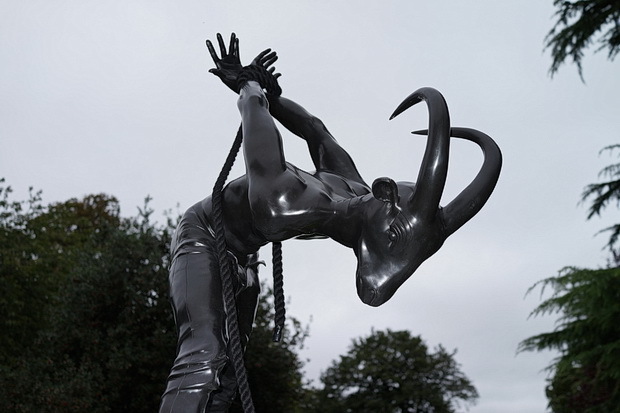 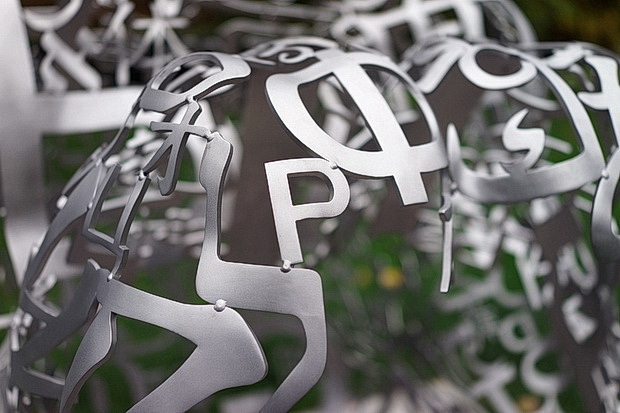 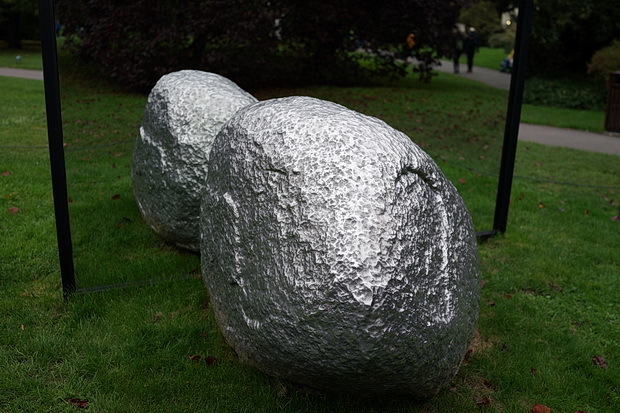 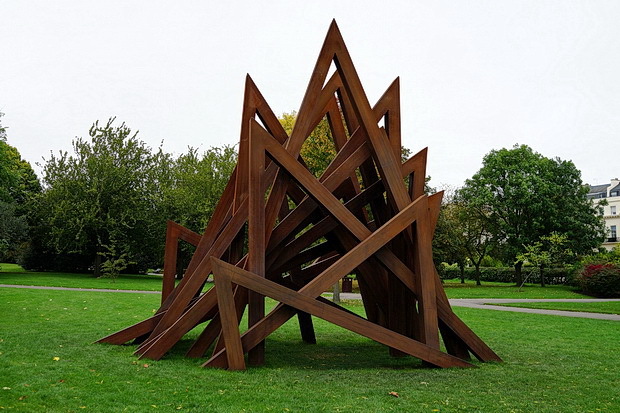 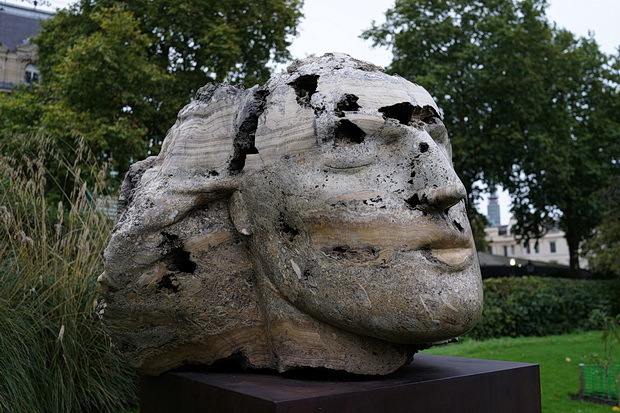 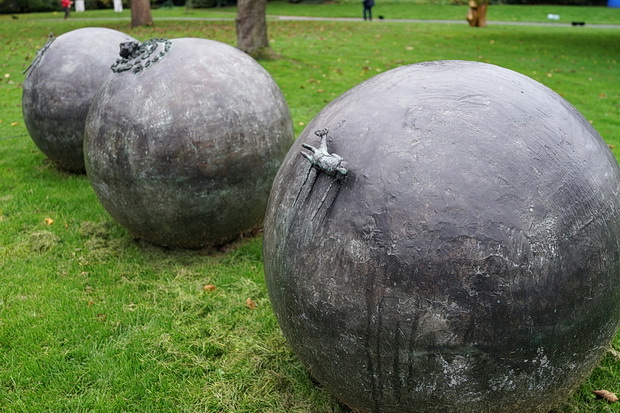 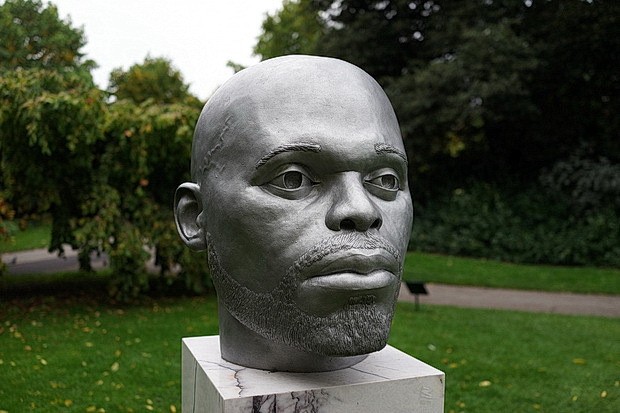 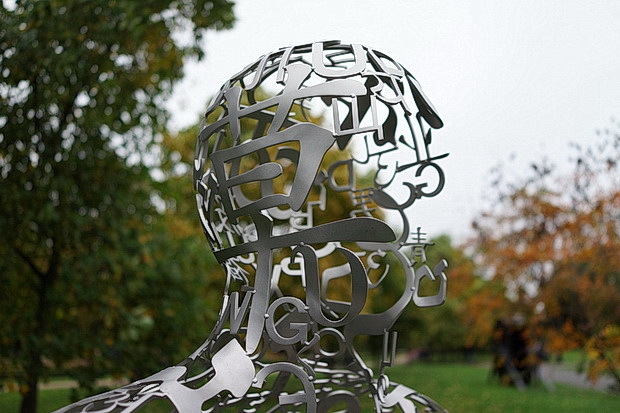 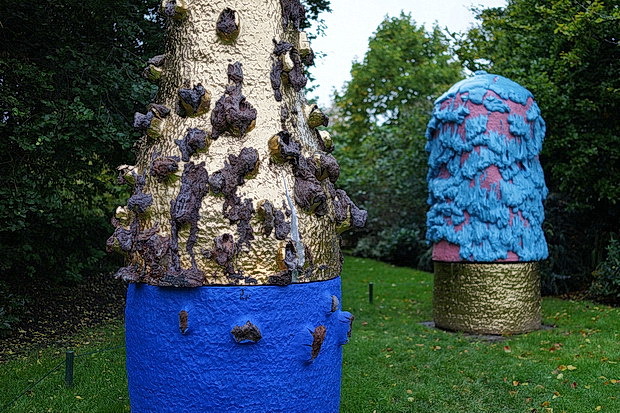 Currently on show in London’s Regent’s Park, Frieze Sculpture is a major outdoor exhibition bringing together 25 new and significant works by 20th-century masters and leading contemporary artists from around the world. 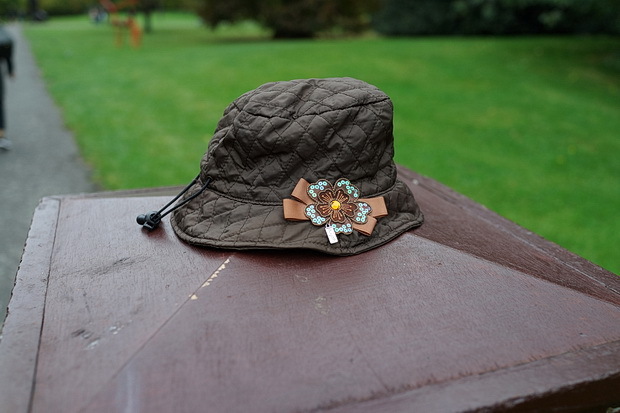 And it’s bloody ace! 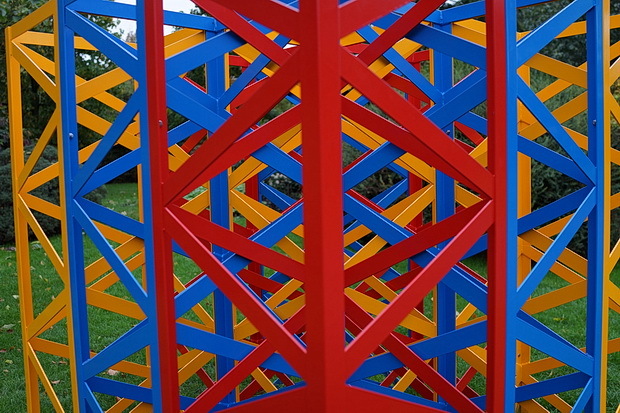 The free outdoor display ends this week (8th October 2017) and was selected by Clare Lilley (Director of Programme, Yorkshire Sculpture Park). 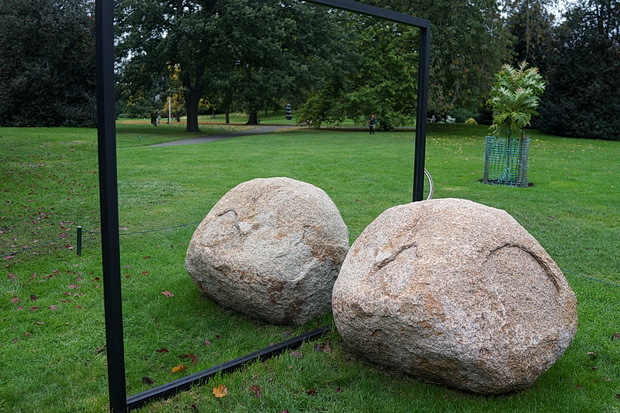 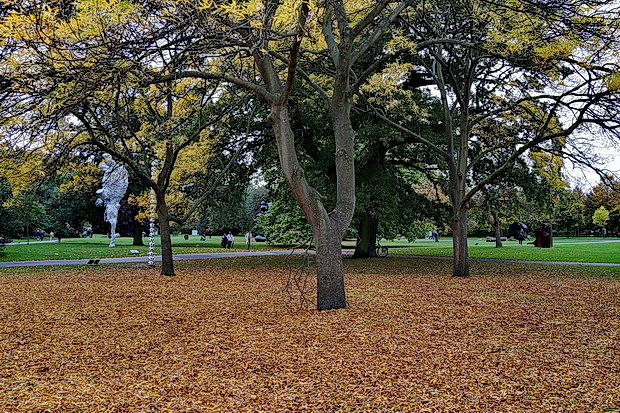 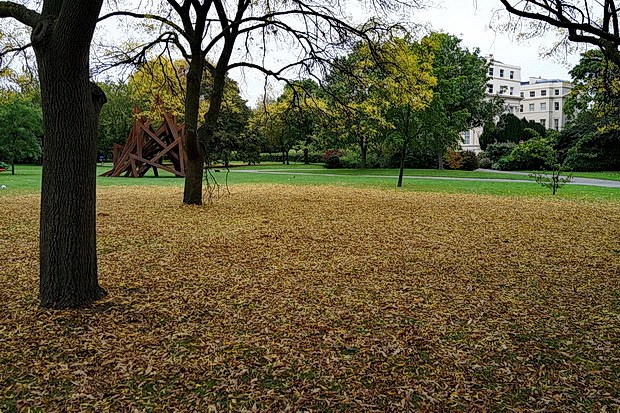 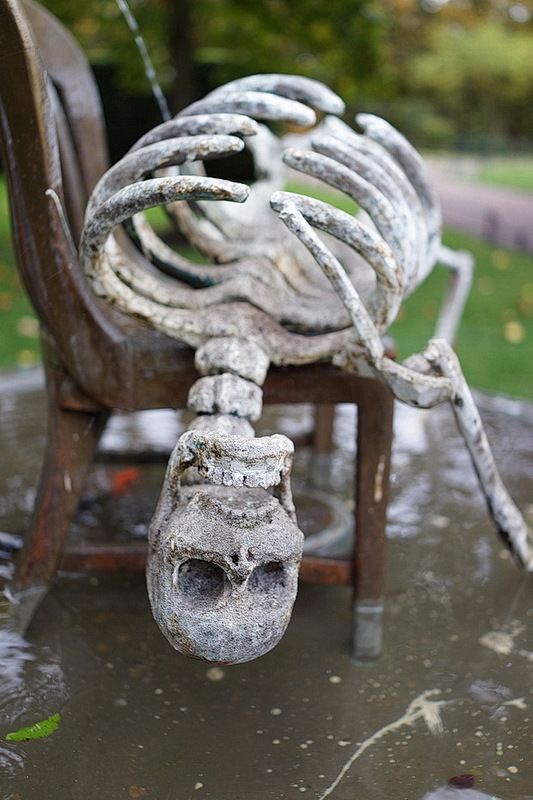 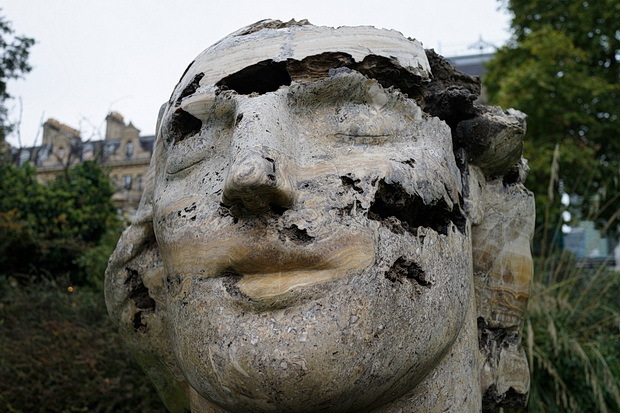 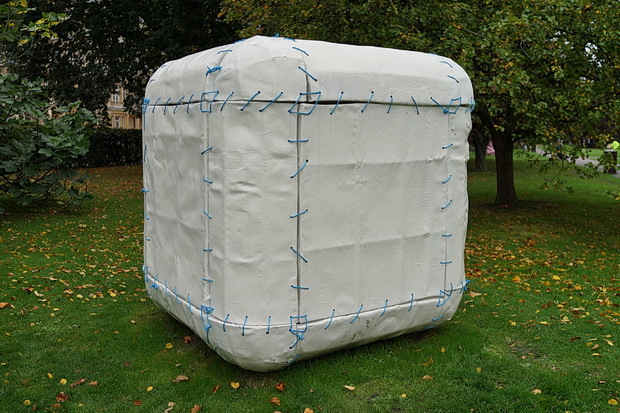 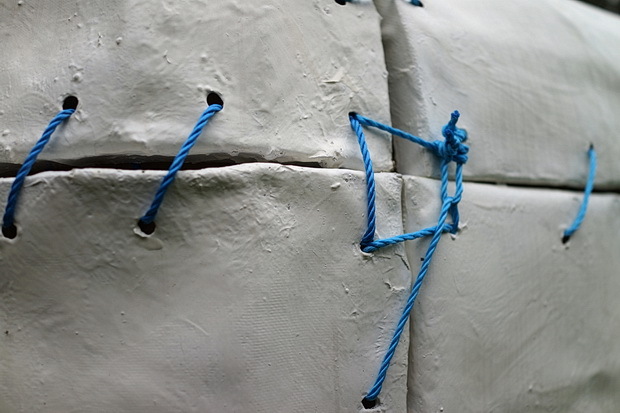 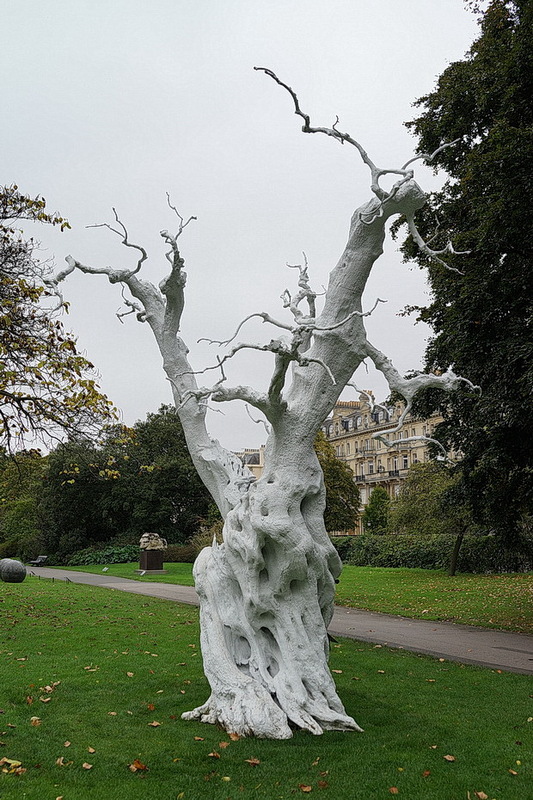 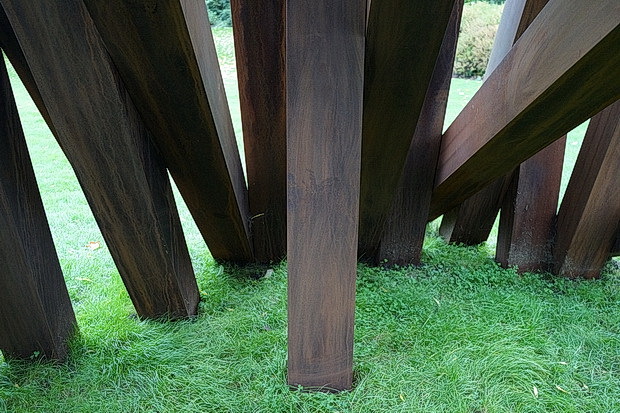 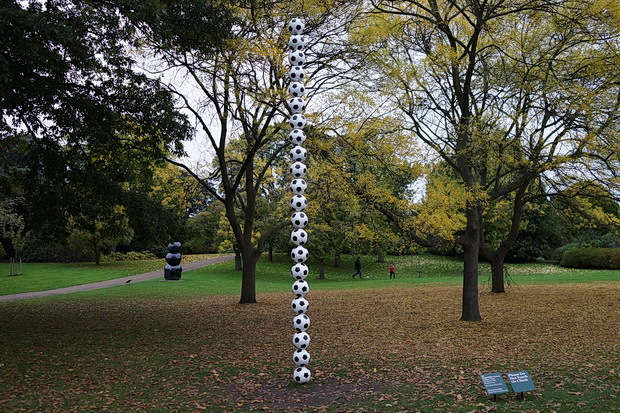 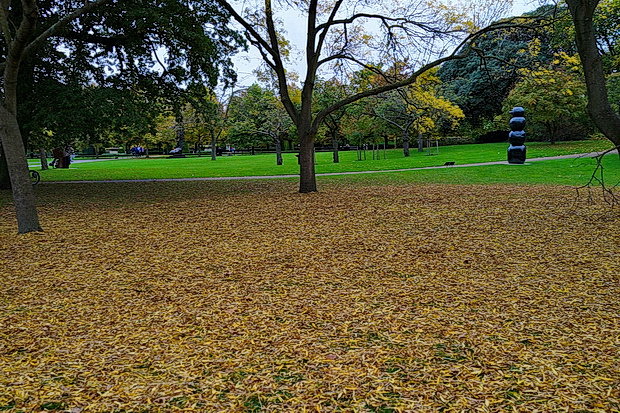 It’s Frieze’s first-ever summer display in the English Gardens of The Regent’s Park. 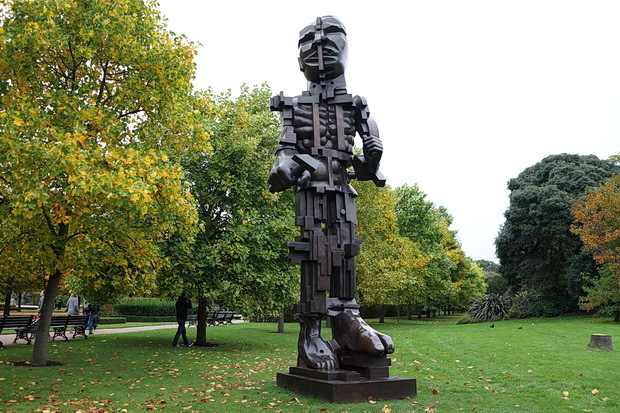 Visitors can enjoy walking around works by leading 20th-century and contemporary artists from around the world, including: Magdalena Abakanowicz, Rasheed Araeen, Urs Fischer, KAWS, Alicja Kwade, Michael Craig-Martin, Ugo Rondinone and Sarah Sze. 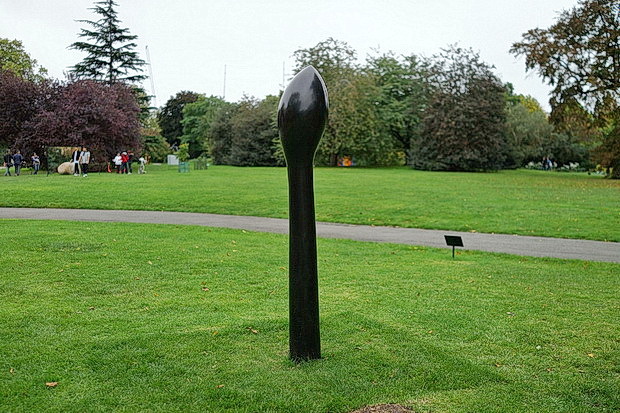 Ugo Rondinone​, Summer Moon (2011). 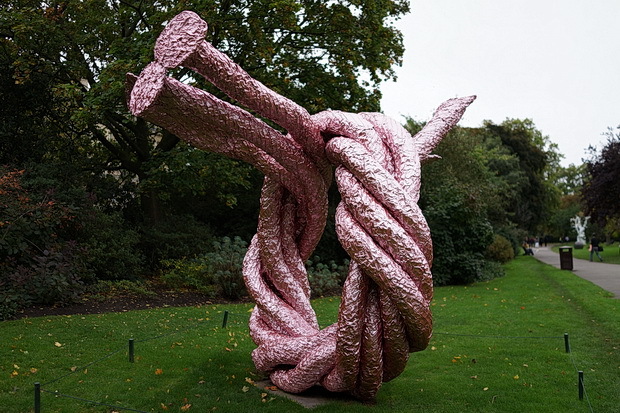 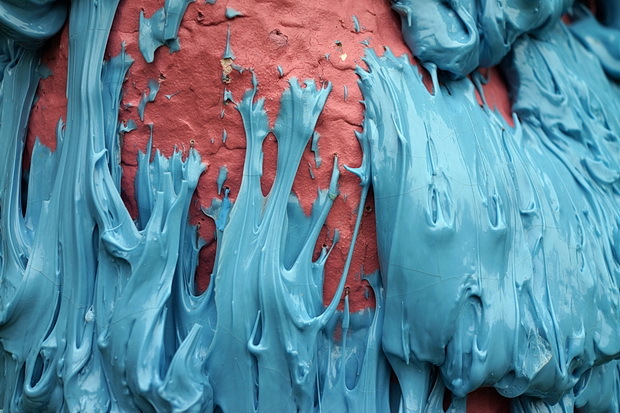 Takuro Kuwata, Untitled (2016) (Ben Luke). 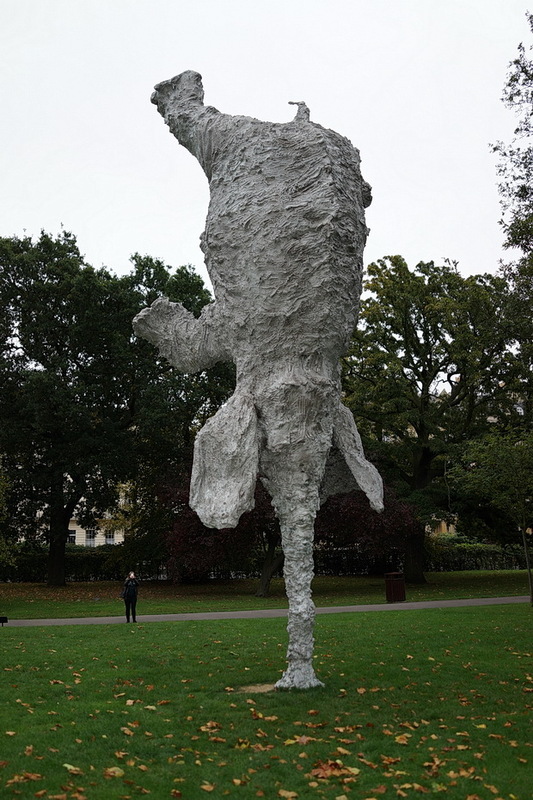 Reza Aramesh’s (Leila Heller Gallery) metamorphosis of mythical animal and subjected figure. 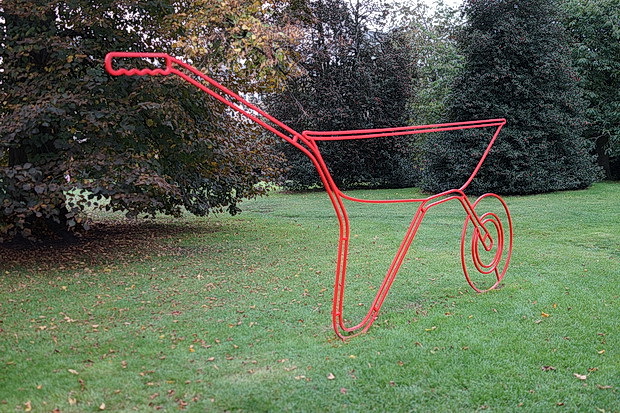 Michael Craig-Martin, Wheelbarrow (red), 2013, powder coated steel. 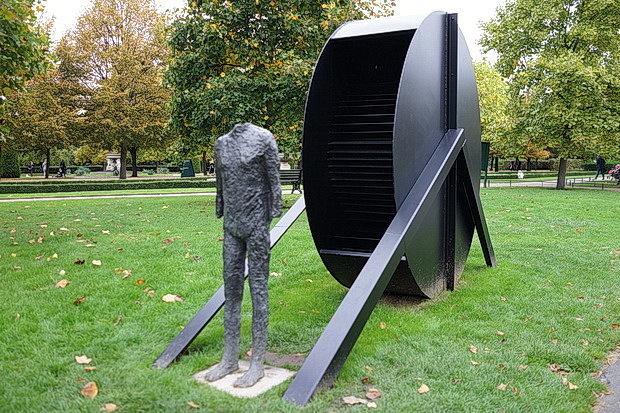 Magdalena Abakanowicz, Standing Figure with Wheel (1990). 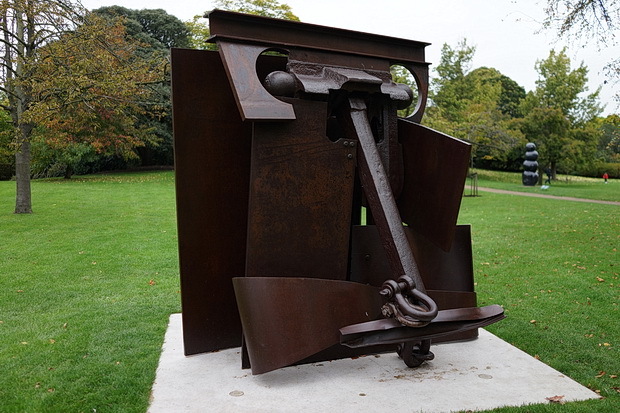 Anthony Caro, Erl King, 2009, rusted steel. 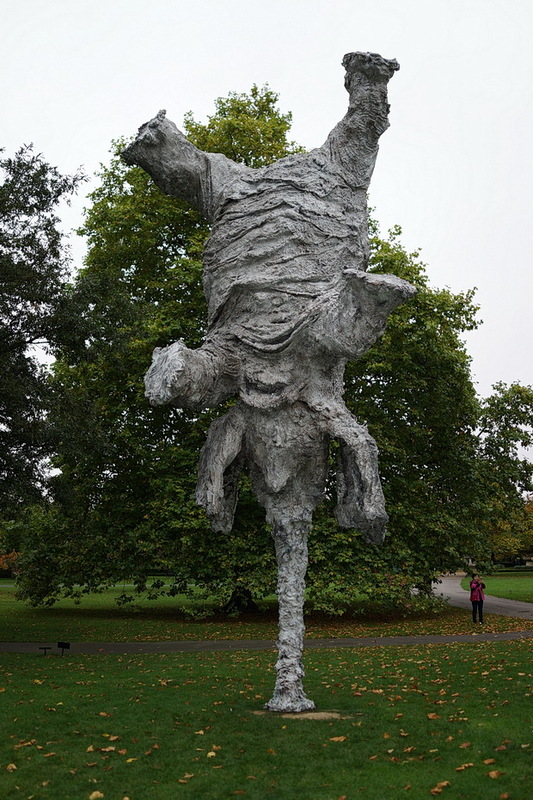 Miquel Barceló, Gran Elefandret (2008). 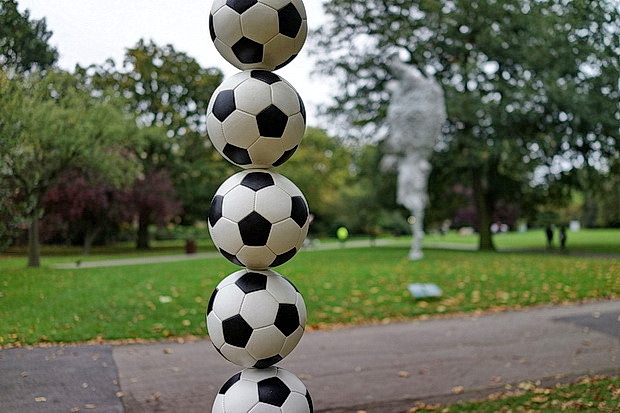 Stacked column of bronze footballs by Hank Willis Thomas. 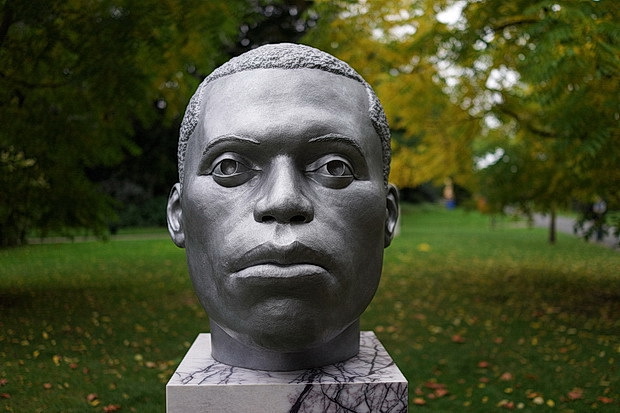 One of Thomas J Price’s (Hales London New York) startling triple portraits of men of African origin. 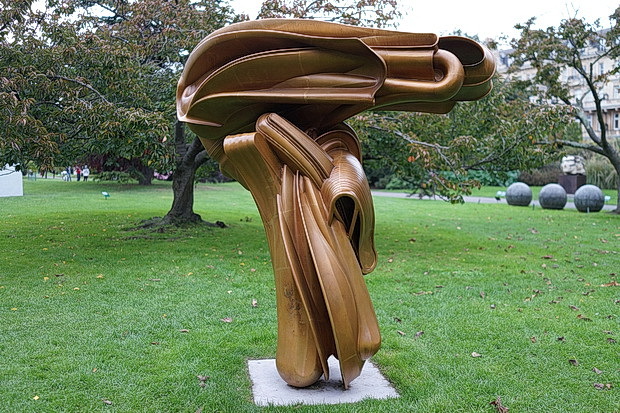 John Chamberlain, FIDDLERSFORTUNE (2010), Gagosian. 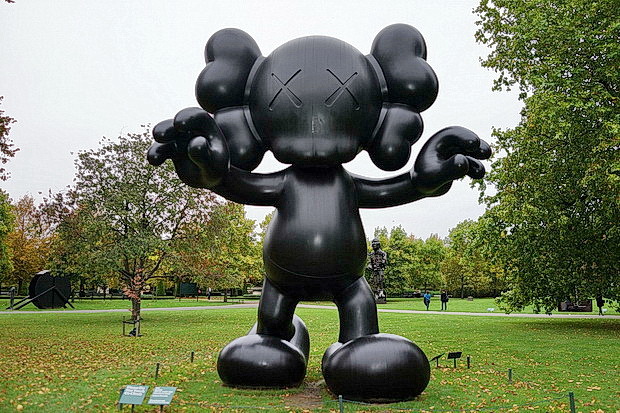 Six-metre-high ubiquitous toy-human figure by KAWS (Galerie Perrotin). 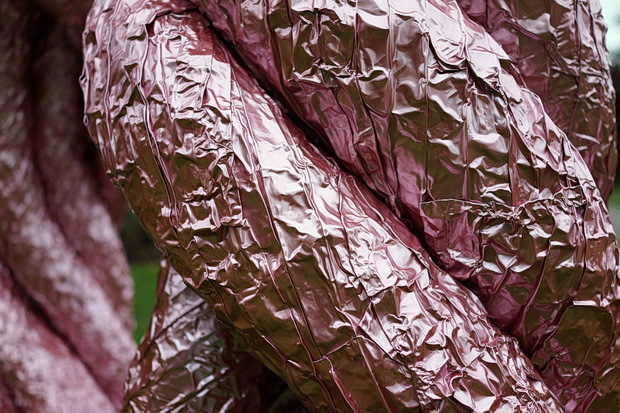 Alicja Kwade, Big Be-Hide (2017), kamel mennour.